Most Americans wouldn’t know what they were looking at if you were to show them a cannabis concentrate. They might guess the substance is honey or some form of wax, but most people would be hard pressed to think the substances have anything to do with the leafy green pot plants that all cannabis concentrates come from. But if Washington’s three-year-old legal weed market is any indication, concentrates might soon be a common thing in the American vernacular. Concentrates are one of the fastest growing category of pot products in Washington’s legal weed market, growing from almost nothing when the market first opened in July of 2014 to over 14 percent of all pot sales three years later. Customers are now spending over $13 million a month on pot sales, according to TopShelfData.com. So, what are these highly potent pot products? There are a variety of ways to make and consume concentrates but they all follow a simple underlining principal – take the flowers of pot plants and remove the inert plant material, reducing it to a potent blend of just the active cannabis compounds. What’s left behind is a substance that can test anywhere from 50 to 100 percent tetrahydrocannabinol (THC) – pot’s most famous active chemical. In Washington, where there are more pot brands and products than any other legal market in the county , pot processors have been creating new types of concentrates so fast that it can be hard to keep track of. Jackson Holder, a buyer for Dockside Cannabis, a chain of retail pot stores in the Seattle area, said it can get confusing even for people within the industry. All of those varying names and new processes can create a confusing maze for customers looking to navigate a retail store’s options. Think about walking into a liquor store looking for bourbon, but each distillery has a different proprietary name for their spirit. One calls their bourbon “American Corn Whiskey,” while another calls it “Tennessee Grain Oak-Aged Spirit.” Unless that customer is researching each individual company, they’d hardly know what is what. That’s the conundrum facing concentrate shoppers everyday with a barrage of overlapping and sometimes contradictory names like: Rosin, Loud Rosin, Extra Virgin Cannabis Oil, Bubble Hash, BHO, Shatter, Wax, Honey Crysals, Sugar Wax, Ice Wax, Crystalline, Terpsolate, and Pull ‘N Snap – just to name a few. This rapid innovation in techniques and proliferation of sometimes confusing names isn’t likely to end anytime soon, according to Ryan Abernathy, the president of X-Tracted Labs in Seattle. The potency of pot concentrates are often the most eye-catching aspect of the products. With numbers like 90 or even 100 percent THC, it’s understandable why the strength of concentrates gets so much attention. But cannabis concentrates are far from just an arms race towards creating higher amounts of THC. While there are certainly some companies making cheap, highly potent products that are more akin to moonshine than single malt whiskey, there are just as many concentrate processors creating artisan concentrates. In fact, the diversity of different cannabis concentrates is likely due to a craft revolution happening with processors. Different processors are doing very different things based on how they want cannabis to be expressed in their final product. Jeffrey Raber, a chemist and executive at the Werc Shop cannabis labs, said the “litany of colorful names” on the cannabis concentrate is thanks to these divergent processing techniques and the classic business incentive to differentiate yourself from your competitors. In Washington’s retail stores, concentrates are often divided into different categories based on their textures. Names like shatter, pull ‘n snap, wax, and crumble refer to the consistency of the final product. This delineation can be helpful to consumers because depending on their route of inhalation, a more brittle or a more fluid concentrate may be easier to use. But these texture indicators don’t necessarily show the differences in processing or what is actually in the final concentrate, according to Raber. “You call this shatter and you call that shatter but are they going to give me the same effects or will I know what’s actually in there? Just because it’s more brittle does that mean it’s going to give me these effects or be different? 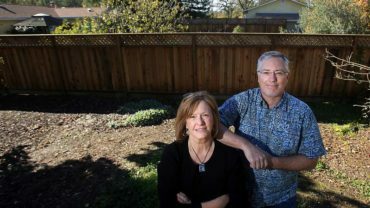 It’s pretty hard to say that,” Raber said. The best way to divide concentrates into different categories might be to look at how each is processed. 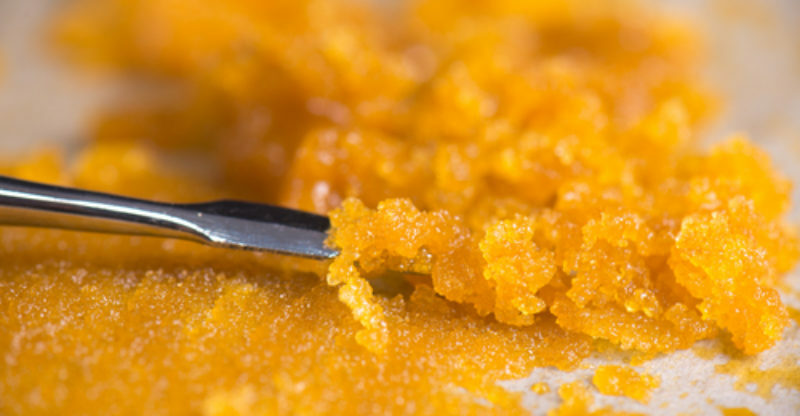 All concentrates start out as cannabis flower, but from the moment the flower is trimmed different processors start doing different things to their concentrates. Some processors use uncured pot, immediately freezing the flower as soon as it is harvested in an attempt to preserve as many of the aromatic essential oils in the plant. Others wait to process their pot until it has been fully cured. The next delineation between different categories is in what type of solvent, if any at all, is used to strip away the plant material. The market’s most popular solvents are butane, carbon dioxide, ethanol, or a blend of gasses referred to as hydrocarbons; each solvent has its own benefits and renders a different type of concentrate. X-Tracted labs is one of Washington’s most popular hydrocarbon processors, selling over $2.3 million in concentrates in the last twelve months. Abernathy said X-Tracted’s hydrocarbon extractors are great for preserving aromas. “The reason we focus on hydrocarbon is because it’s the best solvent if you want to try to extract both the cannabinoids or the terpenes,” Abernathy said. Some processors do not use any solvent at all, instead putting flower through ice baths where the active chemicals are mechanically separated from plant material. These solventless concentrates are often referred to as icewax or bubble hash. Concentrates can be packaged and sold after going through these initial extractions, but further refinement like distillations can further differentiate the product in a variety of ways. Combine these different techniques with the diversity of the cannabis plant itself – which can express a wide range of different flavors and effects – and it makes more sense why there are so many different ways to make a dabbable concentrate. Abernathy said he wasn’t surprised to see concentrates sales grow in the legal market – they were already popular in Washington’s earlier medical market – but he said he is seeing new consumers give concentrates a try thanks in large part to the popularity of handheld electronic vaporizers. “I think there’s a lot more products to kind of give people training wheels for concentrates, lots of soccer moms love the vapor carts, and then they can experience those different flavors and effects,” Abernathy said. Electronic vaporizers are another way to inhale concentrated cannabis but are treated as a different category in Washington’s market. Holder said the market might eventually find a standard vocabulary for concentrates, but it will probably take some time.